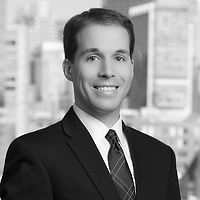 Rory Pheiffer, member of the firm’s Intellectual Property Litigation practice group, published “Victory for Biotech: Federal Circuit Tightens the Standard for Proving Inequitable Conduct Defense in Patent Infringement Cases” in BioWorld Perspectives on July 21. The article discusses the much-anticipated decision in Therasense, Inc. v. Becton, Dickinson and Co., et. al., which substantially raised the bar for the defense of “inequitable conduct” to a level that some think will make it virtually impossible to prove in patent infringement cases. Rory notes the decision is good news for biotech companies, as a finding of inequitable conduct knocks out the entire patent (not just a particular claim) and can damage the reputation of the prosecuting attorney. In his experience, inequitable conduct is invoked almost as a matter of course by those accused of patent infringement. The Court’s decision seeks to return inequitable conduct to its roots as a defense for situations involving truly egregious, outcome-determinative misconduct in the procurement of patents.